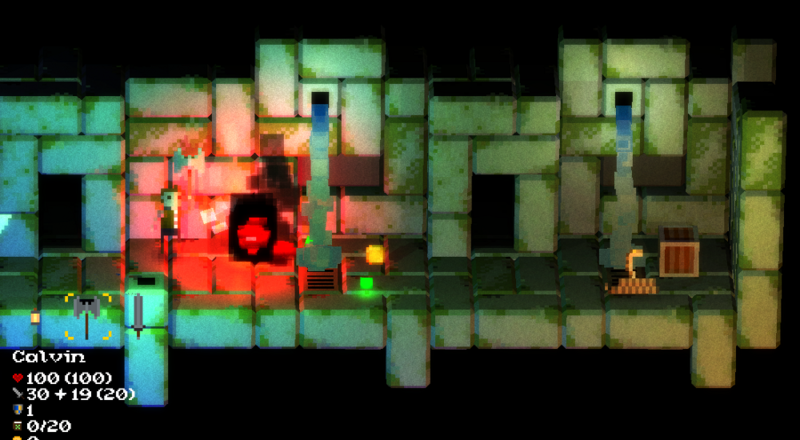 Bask in the warm glow of dynamically lit pixel art! Developer RobotLovesKitty has announced the beat-em-up RPG Legend of Dungeon has reached beta! The feature-complete game can also be pre-ordered on Steam. Sometimes you just want to punish yourself with a good old fashioned roguelike. Legend of Dungeon creeped out into the world earlier this year, reintroducing us to the brawling-meets-RPG dynamics of Double Dragon fused with, say, Nethack. The 2.5D sidescrolling game gives you swords and shields, magic and mayhem as you crawl your way through over two dozen levels of painfully difficult enemies and scattered bits of loot. Best of all, you can suffer permadeath with friends! Your quest is to get down to the 26th floor and find the super-secret hidden treasure. The obstacles range from countless dungeon critters to mad bosses, maze-like passageways, and the fact that when you die, you're really done for. Since there's plenty of loot and leveling-up along the way, it's a great jaunt through the catacombs, no matter how long it takes you to kick the bucket. Co-op is limited to four player local play. Developer RobotLovesKitty says including online co-op wasn't practical for this incarnation of the game, but when it's time to start working on a sequel, it's going in from day one. The dungeon now refills with monsters after reaching the treasure… good luck! Legend of Dungeon is available to pre-purchase on Steam for Windows, Mac and Linux systems at a paltry $9.99. You can also grab the game from the official website and get access to the most current build right away. The release date is set for September 13. Page created in 0.8030 seconds.